BR built more than 800 bogie wagons for use by the engineers department and they were given the fishkind name “Sturgeon”. Most had 7 dropside doors but the doors and the ends were removable and many wagons had them taken off to carry 60′ track panels. These versatile and rugged wagons lasted in mainline service until 2003, with some in use within depots beyond 2010. Please note that not all variants of livery, doors/no doors and single or triple packs are available! 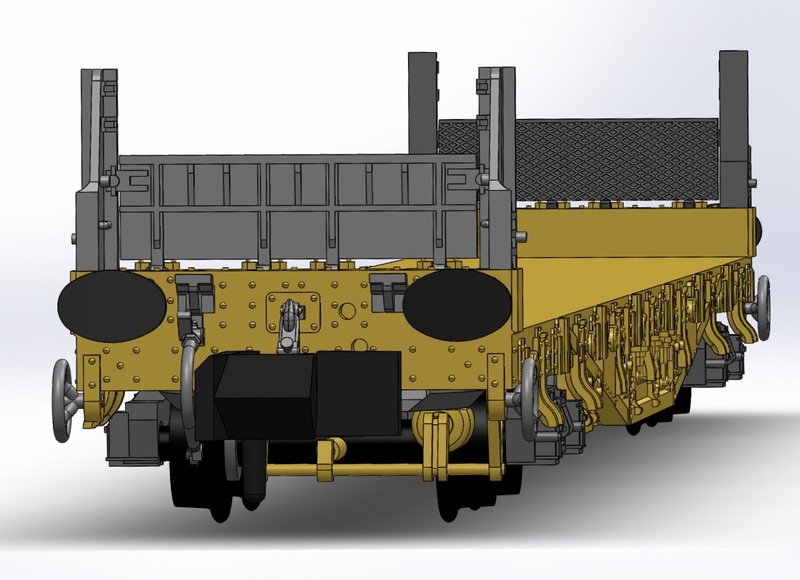 Between 1952 and 1960, BR built more than 800 bogie wagons for use by the engineers department and they were given the fishkind name “Sturgeon”. Most had 7 dropside doors but the doors and the ends were removable and many wagons had them taken off to carry 60′ track panels. These versatile and rugged wagons lasted in mainline service until 2003, with some in use within depots beyond 2010. 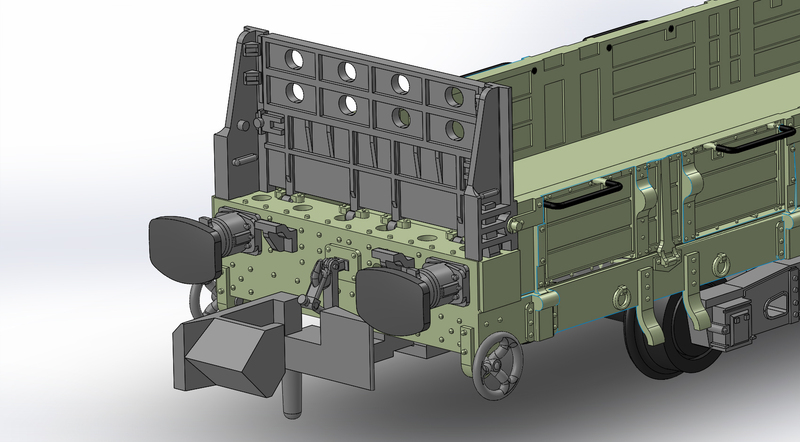 Our model will feature prototypical detail differences for the variant that you pick along with an NEM coupler pocket and close coupling mechanism. Please note that not all variants of livery, doors/no doors and single or triple packs are available! 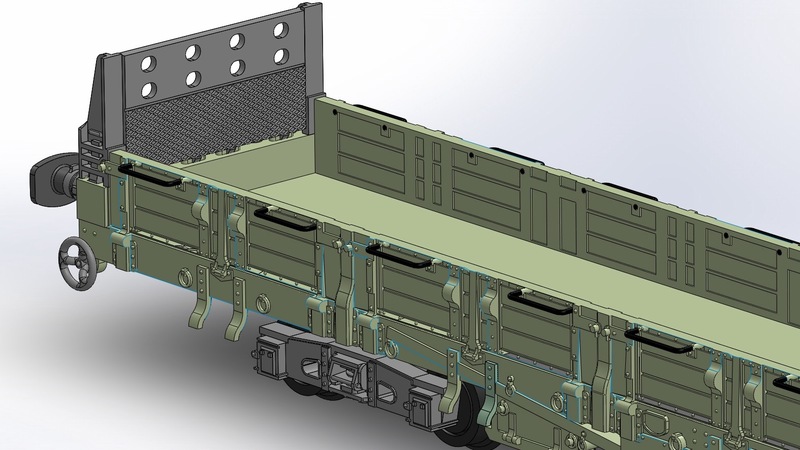 You are ordering a model of a Sturgeon wagon that is in development and not available “off the shelf” – we produce all our models to pre-orders (unless otherwise stated). 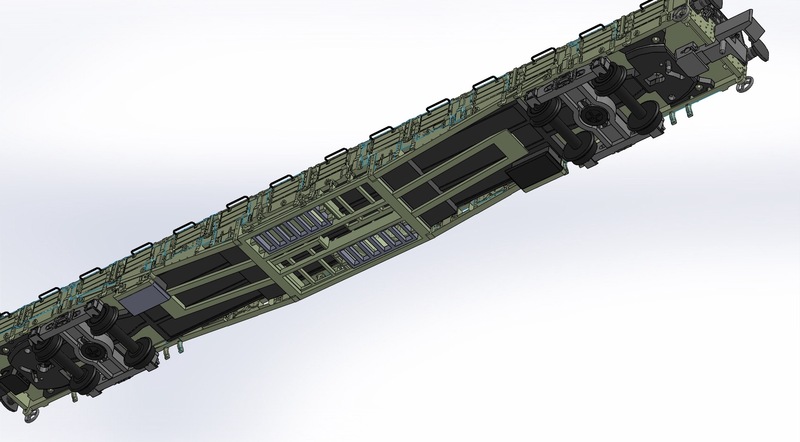 You can follow development of the Sturgeon (and all our projects!) in our news section of our website, by signing up for our newsletter or on social media.